Welcome to the website of Dana Fredsti: novelist and screenwriter, B-movie actress (okay, C movie actress), zombie aficionado, exotic and domestic feline advocate, swordfighter, wine lover and beach glass junkie. 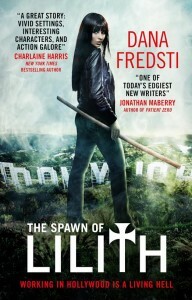 The Spawn of Lilith series: Successful actress and stuntwoman Lee Striga finds herself with an unwanted second job: demon hunter, paying off an ancient family debt in order to free her ancestor, Lilith, Mother of Demons, imprisoned centuries ago by a vengeful god. 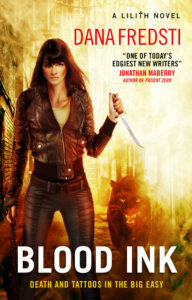 Blood Ink, the sequel to Spawn of Lilith, is offially released! Happy Book Birthday to me! IT’S CALLED “THE EVENT,” AN UNIMAGINABLE CATACLYSM THAT SHATTERS 600 MILLION YEARS OF THE EARTH’S TIMELINE. Our world is gone, instantly replaced by a new one made of scattered remnants of the past, present, and future, dropped alongside one another in a patchwork of “shards”. Monsters from Jurassic prehistory, ancient armies, and high-tech robots all coexist in this deadly post-apocalyptic landscape. A desperate group of survivors sets out to locate the source of the disaster. 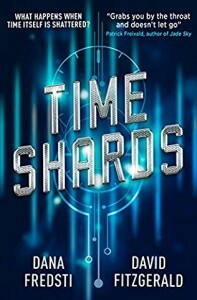 They include 21st century Californian Amber Richardson, Cam, a young Celtic warrior from Roman Britannia, Alex Brice, a policewoman from 1985, and Blake, a British soldier from World War II. With other refugees from across time, they must learn the truth behind the Event, if they are to survive. 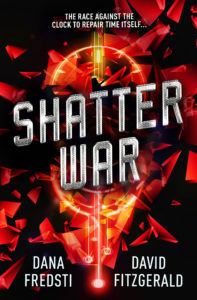 Shatter War, the second book in the Time Shards trilogy, will be released September 2019. Ashley was just trying to get through a tough day when the world turned upside down. A terrifying virus appears, quickly becoming a pandemic that leaves its victims, not dead, but far worse. 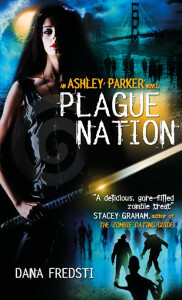 Attacked by zombies, Ashley discovers that she is a ‘Wild-Card’ — immune to the virus — and she is recruited to fight back and try to control the outbreak. 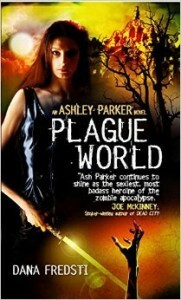 It’s Buffy meets the Walking Dead in a rapid-fire zombie adventure!